friends to discuss this interesting segment of their history, by asking them to travel to the island of Harriersand, that next summer in 2005. Soon the Island Congress became an annual summer event, with historians and photographers all coming together, becoming the Traveling Summer Republic. 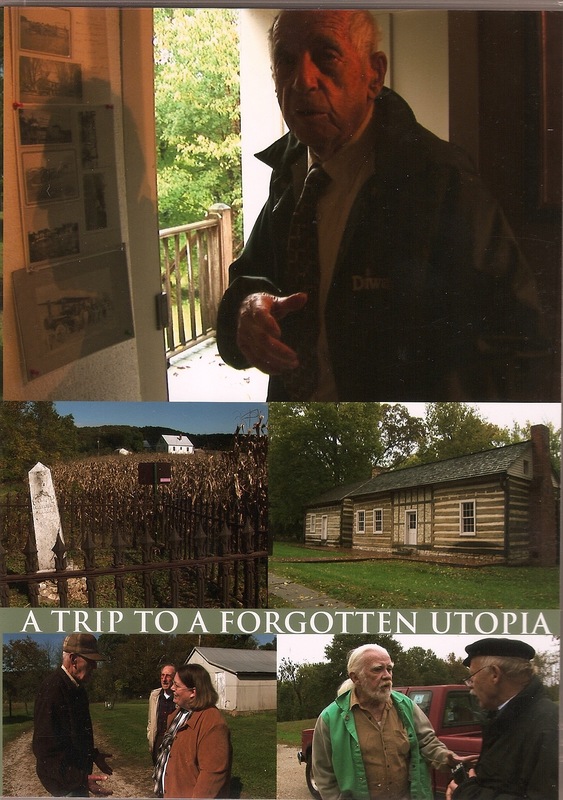 In 2009, the group wondered if there were more to be known about the Emigration Society in America, and Roloff contacted many historians across the U.S.
Roloff’s question “of course!” When Roloff, joined by author Rolf Schmidt and photographer Folker Winkelmann visited the U.S. that summer the Republic became international. 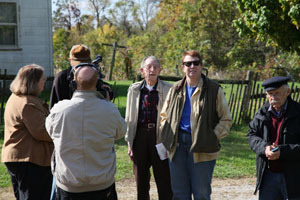 In 2010, Roloff produced a short documentary “A Trip to a Forgotten Utopia” for those in Germany who could not be part of the trip, which explained what was still to be found in Missouri, the heart of the story. Keeven-Franke was invited to Bremen for the premier of the documentary, where guests were invited to view a photographic exhibit of Winkelmann’s art, and sample Blumenhof’s Missouri wine, as well. Discussion of this huge story of emigration/immigration began, and further plans were made. 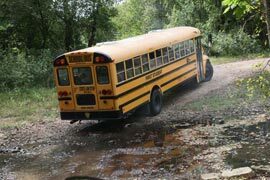 gathered to tour the original sites on two school busses, dubbed the Olbers and the Medora as original members. 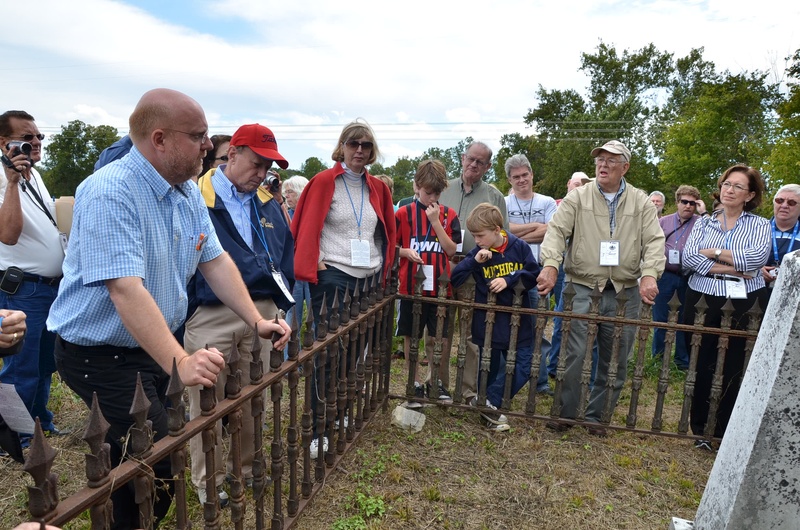 Many were descendants and held family reunions as well. 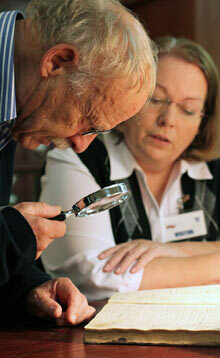 Plans grew for the “Utopia project” and Roloff began a search for funding. In 2012 funding for the exhibition began, and with success found in Germany from the Transatlantic Program of the Federal Government of Germany, Magistrate of the University Town Giessen and Prime Minister of the State of Hesse. Venues and co-sponsors were located in the Cities of Giessen and Bremen, in Germany; Washington, D.C.; and St. Louis, Missouri. 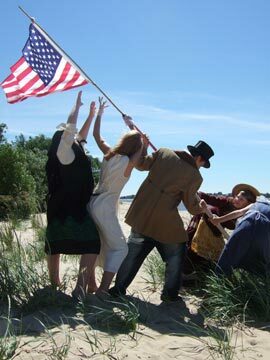 The exhibition Utopia-Revisiting a German Republic in America was created by the Traveling Summer Republic team. Film makers, artistic designers, photographers, architects, historians, writers, archivists and theatre directors all joined together to create this fascinating experience. The dream of freedom and a better life for one’s family is relevant to today’s events as well and is also examined and discussed in the exhibition. It was created by the Traveling Summer Republic: Film makers, artistic designers, photographers, architects, historians, writers, archivists and theatre directors all joined together to create this fascinating experience. The exhibit is not just the story of the the Giessen Emigration Society or any one member, but the story of over five hundred emigrants who were united in one dream. The exhibition opened on November 1, 2013 in Giessen, Germany to a great reception for two months. Followed by over three months in the emigration city of Bremen, Germany, it left for the U.S. in July. 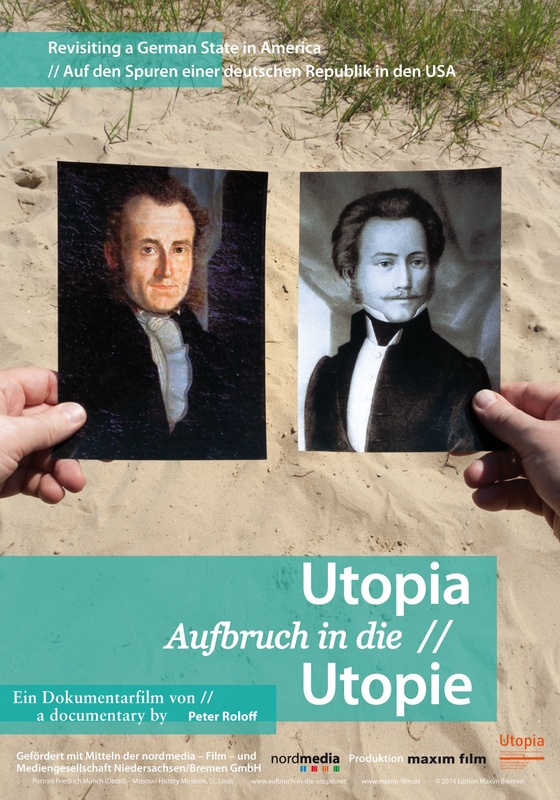 Utopia – Revisiting a German State in America opened September 6, in Washington, D.C. at the German American Heritage Foundation’s museum where it will be until October 25, 2014. On November 22, 2014 it will open at the Missouri History Museum in St. Louis, Missouri. 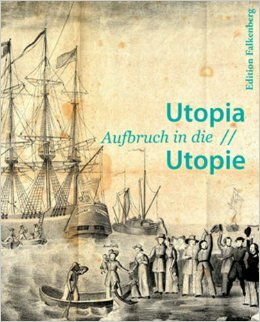 A catalog of the exhibit, the book Utopia-Revisiting a German State in America by the team is a group of essays for those wanting to further into the story. A documentary by maxim Films of Berlin is part of the St. Louis International Film Festival in 2014, and can be seen at 3pm on November 23, 2014 at the Missouri History Museum.